We Are Trapped in Technology Bubbles. You see it all the time, you're gathered together as a family or at work and everyone is busy in their own little world. Their necks are craned and eyes are stressed looking at screens for hours on end. The result is that personal interactions have almost disappeared thanks to this new virtual world of social media and email. It's a force that almost can't be stopped. Almost. Imagine if there were an equally irresistible force that could draw people out from their technology bubbles, strengthen relationships, recharge minds, and sharpen reflexes. Table Tennis Can Bring Families Together. Think about it. 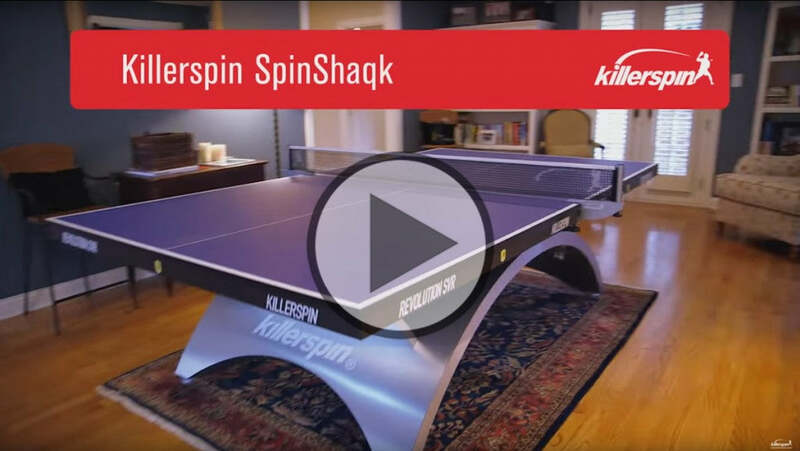 What better way to get your family members to put down their phones, turn of the notifications and spend some meaningful time together than a fun, competitive, and active game anyone can play? 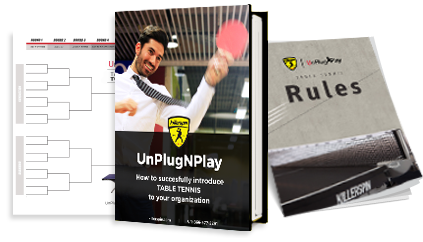 All you need is a table, few paddles, a pack of balls and a healthy dose of competitive spirit. Ping pong is a completely inclusive activity. There are no obstacles for anyone with the will to grab a paddle and have some fun. Your age, gender or physical abilities are irrelevant. You can have the whole family around the table, sharing memorable and engaging experiences. Just think about the time you played table tennis as a kid with your family and friends. Beware, this does mean there’s a reasonable chance of you getting beaten by your nine year old daughter, so don’t take it to lightly. We know your kids won’t. Check out how the Geis family connects in the video below. It’s not just fun. It’s healthy too. It’s a fun and easy way to burn calories. A 150-pound person can burn over 270 calories by playing table tennis for an hour. Talk about a win-win situation. Improves reflexes. The game is distinguished by bursts of exertion and recovery, leading to fast-twitch muscle development. Just ask professional athletes. They often use table tennis during the off-season to improve these skills. It helps with recovery. Have you had knee surgery, suffer from back problems, or are tired of twisting your ankles? Try table tennis. It’s a great way to improve your leg, arm and core strength without overtaxing your joints and exposing yourself to injury. We know. You have a busy schedule. But one hour a week can make a big difference. Take some time off and let your family remind you what life is all about. You can get together around the table and exchange some flats, chops and drop shots, share some jokes and laughs and simply – be together. Without distractions. To spice things up a bit, you can create a mini competition and have an award for the winner. Maybe a wall of fame in your playroom with the picture of this week’s Most Valuable Player.